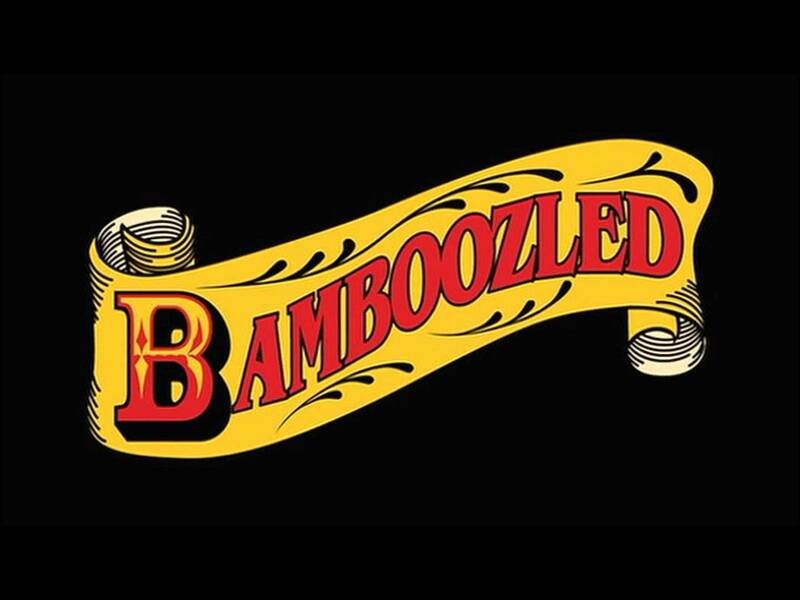 Eye On Tampa Bay: We Refuse to Be Bamboozled Again - Fund Roads and Transportation Now! We Refuse to Be Bamboozled Again - Fund Roads and Transportation Now! We are in the Hillsborough County 2017 Budget Cycle and nothing has changed. Taxpayers are being bamboozled again by a county budget process that is disingenuous, not transparent and simply not honest. During the FY2016 budget cycle last year, we were told the county had $121 million of new revenues that included almost $50 million of new recurring revenues and the $22.8 million one-time BP oil spill settlement money. The FY2016 Budget stated the county was funding pet pork projects, nebulous economic development projects, new services, more parks to maintain, etc. but no money for our highest priority - roads. It was absurd that the county refused to appropriately fund our roads and transportation needs last year. The phony, crony Go Hillsborough campaign was underway during last years budget cycle. Apparently, someone(s) down at County Center preferred holding our road funding hostage last year hoping for a sales tax hike. That is now dead. In FY2016, who knew that the county was BORROWING $46.5 million and calling that debt part of "new revenues? What is this debt funding? County Administrator Mike Merrill this week amended his fiscal 2016 budget to include $15 million for the Jan K. Platt Environmental Lands Acquisition and Protection Program, also known as ELAPP. County commissioners gave the budget preliminary approval Thursday night. Merrill said he was able to “make room” in the budget for ELAPP because the county is getting $6 million more in property tax revenue than was projected when he presented his budget in June. An additional $5 million is coming from the Sheriff’s Office, which often returns money it does not spend out of its yearly county appropriation. If the county borrowed $15 million for ELAPP, then where did the $15 million go that Merrill said he found in the existing budget for ELAPP? What specific "redevelopment" projects are being funded with these debt dollars? What is the return on investment that is expected from these projects? Why is the county borrowing almost $50 million to fund these projects when the county has refused to fund our roads they have neglected for years? The bigger question is why isn't the county funding our highest priorities - our roads and transportation - if the county is borrowing almost $50 million for these projects? When we asked where the revenue was coming from to pay for the operating expenses associated with the capital projects funded by this debt, we were told the operating expenses would be covered by future revenues. The county will earmark future revenues to cover operating expenses for these lower priority projects at the same time the county refuses to fund our roads. Hillsborough County is growing. We are fortunate as our housing values are increasing and we have new construction being added to our tax rolls, increasing our property tax revenues. In addition as our economy has rebounded, our sales tax revenues are also increasing. Continuing to hold our roads and transportation funding hostage is nonsense. Unfortunately, the nonsense continues with the FY2017 budget. The county commissioners have stated transportation is our highest priority. The commissioners provided direction to county staff to pursue allocating a percentage of our new revenue growth to transportation. To ensure transportation is a priority the county must allocate a percentage right off the top of the new available revenue funds BEFORE funding lower priority items. The FY2017 proposed budget does not do that. What Merrill is presenting at tomorrow's Budget Workshop is in a different format than what he presented last year. Some information appears to be missing. One-time new revenue sources, including the almost $23 million BP oil spill settlement money, are nowhere to be found. The estimated recurring new revenues have been reduced from Merrill's earlier budget presentation. Why? We asked how much was going to transportation funding in the FY2017 budget, we received the following information. It is absurd to include impact fee buybacks as transportation funding. Doing so drastically overstates what is actually being spent on transportation projects. That is a disservice to the taxpaying public and not being honest. It appears that the proposed FY2017 budget continues to fail us by refusing to fund our roads and transportation needs within our existing ballooning budget. If that does not change with our FY2017 budget cycle, then transportation is not the priority of this county commission. That would be shameful place to be after the county spent over three years, $1.3 million of taxpayer money and tons of county resources telling the public that transportation is a top priority. Budget Workshop meetings are intended for in depth discussions of the budget and not intended for Board action. Tomorrow's workshop meeting has been opened to public comment but it is not a properly noticed Budget Public Hearing. Since the July Budget Public Hearing was cancelled by Merrill, the commissioners must take action at the Workshop tomorrow to set the millage rate which is statutorily required to be done by July 31st. Proper governance would dictate actions taken on the budget should occur after any workshops were held and after a properly noticed Budget Public Hearing was conducted. Taxpayers are tired of being bamboozled while the county has done nothing to fund our roads and transportation. Continuing to fail to fund our roads and fix our transportation issue is not an option. It's time to put an end to the budget nonsense now. The county commissioners must step up. They must lead on funding our roads and transportation needs. They must stop being led by an entrenched bureaucracy who continues to fail us. Because….like the old Twisted Sister song….